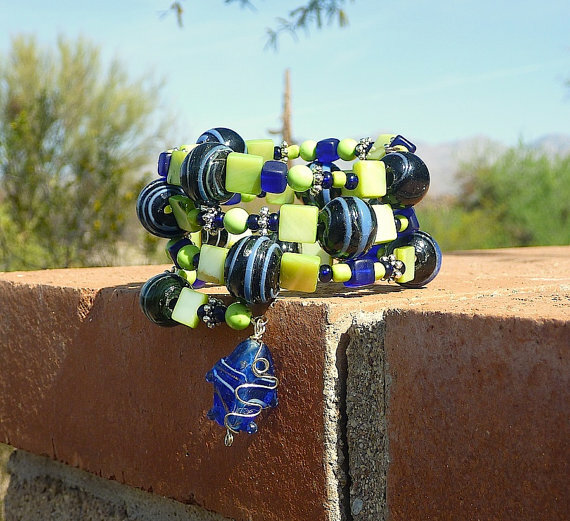 For the month of May, Beading Divas to the Rescue is selling bracelets for GREY2K USA Education Fund. The Education Fund pays for investigations, videos, commercials, and advertisements that inform people about the horrors of greyhound racing and why it must end. The Education Fund is especially near and dear to the hearts of the Beading Divas because of an under cover investigation of the Tucson dog track which aired on KOLD-TV in December 2010. You can watch it here. The dogs are confined in cages all day wearing damn muzzles! The GM compares the dog track to the Taj Mahal. And here’s the longer video. You can see more and hear more and learn how our poor greyhounds live while in the racing environment in South Tucson. The Education Fund pays for these kinds of undercover investigations, professionally-made videos, commercials, and advertisements. Images always trump words. Please help support these ongoing activities. Greyhound racing is a cruel and dying sport. It must end. BUY BRACELETS ONLINE: You can buy bracelets for $20/each (goes directly to the Fund) + $4 S&H. In Tucson, there’s a large selection at Silver Sea Jewelry & Gifts, 330 N. 4th Ave., 520-624-9954 and a smaller selection at Dirty Dawgs Dog Wash, 2510 N. Campbell Ave., 520-770-6045.